From the vineyard just below Grand Cru Chapelle- Chambertin comes another wine of pure purple colour. Without being blockbuster this has notable intensity and is very long. There is a touch of velvet fruit and fine firm structure behind. Quantities were down a further 15% on the previous two vintages. However Nicolas Rossignol reports that there were no problems in vinification, and they have added a further refinement this year with a new state-of-theart de-stemmer, which leaves the individual berries whole as it takes them off their stems. 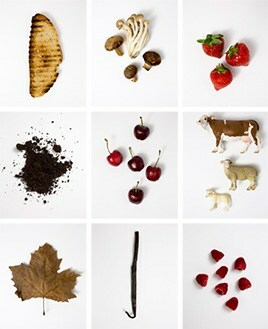 Given the natural concentration of the fruit in 2012, there was no need to seek much extraction. 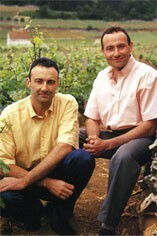 Once again this domaine offers superb quality at reasonable prices. The Wine Advocate - Tasted blind at the annual Burgfest tasting in Beaune. 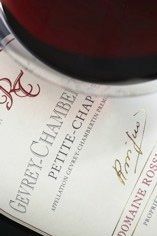 The 2012 Gevrey Chambertin 1er Cru Petit Chapelle has a touch more ripeness and precocity than the Clos Tamisot from Damoy: well defined with red cherries mixed with raspberry preserve, again, very refined and detailed. The palate is medium-bodied with a slightly stalky entry, a crisp line of acidity, very linear in style with a slightly truncated tinny (reductive) finish that could do with a little more flesh. Give this Gevrey-Chambertin another couple of years in bottle and it will start approaching its impressive performance from barrel.